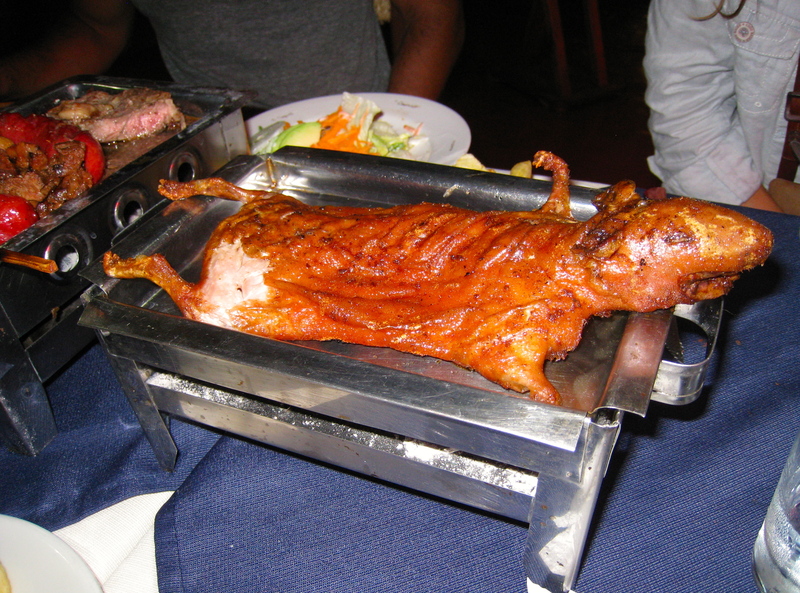 Buenos Aires would be a tough town for a vegetarian. I’ve encountered meat treats that I never knew existed, and many that I try not to think about too hard as I’m savoring (hello, morcilla). There’s no shortage of protein options, and for better or worse no…part, shall we say?…goes to waste. 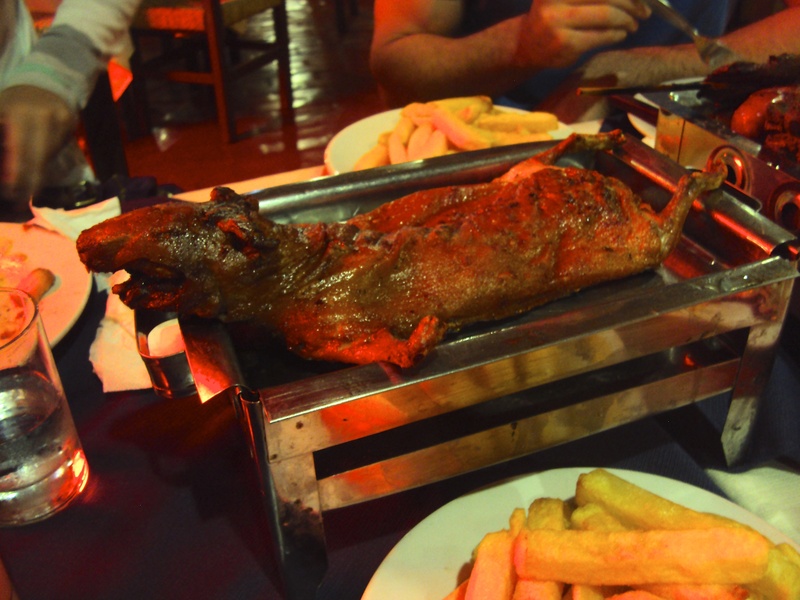 One of my favorite meals, and a must for anyone traveling here, is ordering some version of parillada para dos: literally, grill for two (or four, or six, etc). 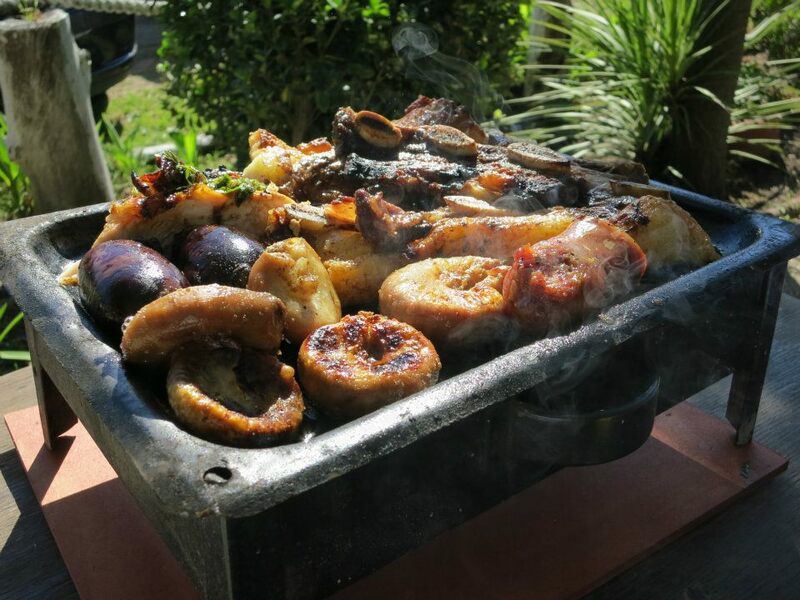 A small charcoal grill is brought to your table sizzling with mouth-watering smells and piled with succulent cuts of beef, pork, chicken, chorizo, morcilla (blood sausage), riñon (kidneys) and sweetbreads. My favorite spot in the Capital to spend an afternoon digging into a mountain of carne is in Recoleta, at any of the parrillas on Junín along the walls of El Cementerio de la Recoleta. An odd preference, perhaps, but I had my first parrillada experience at Clark’s so I’ve got a soft spot for it. I also always look forward to hitting Tata Juancho along Ruta 11 between Mar del Plata and Chapadmalal. During weekend trips to the beach we religiously stop here to enjoy some cold beers, sizzling grilled meat, and perfectly crisped fries outside at one of their picnic tables, with Judah successfully scouring the premises for discarded scraps and being treated to her own chunks of meat fresh off the grill from the dog-loving grillmasters. 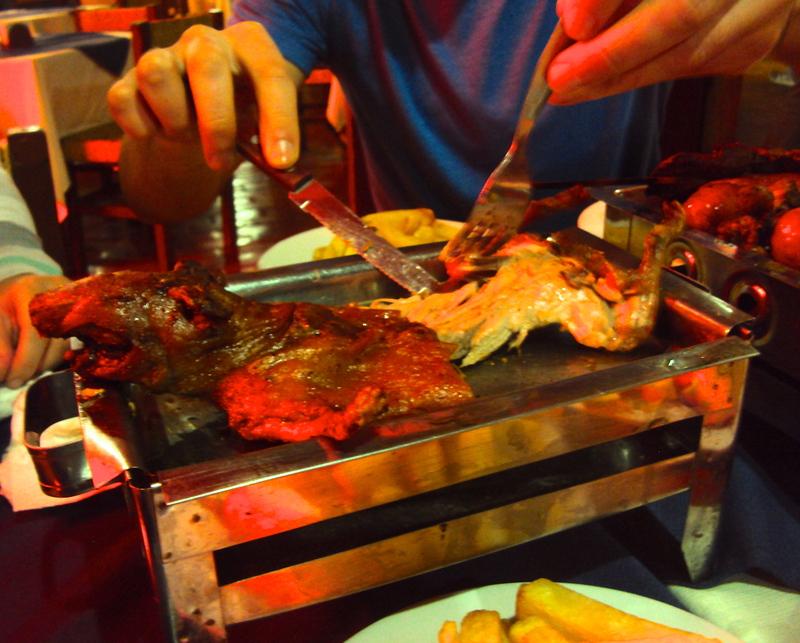 While the cuts of meat can vary in quality and appeal, for me, the beauty of the parrillada is the experience. Give it a try and let me know what you think.